On January 16, 2019, HomeServices of America®, the nation’s largest, full-service residential brokerage firm and Berkshire Hathaway Inc. affiliate, appointed Gino Blefari, former CEO of HSF Affiliates, as CEO of the company. Blefari began his real estate career more than 30 years ago and founded Silicon Valley-based Intero Real Estate Services, which HomeServices of America acquired in 2014. 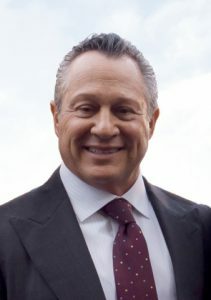 In 2015, he was named President and CEO of HSF Affiliates, the HomeServices’ subsidiary operating the Berkshire Hathaway HomeServices and Real Living franchise networks. Under his leadership, HSF Affiliates grew to the 4th largest real estate franchisor with nearly 52,000 agents operating from 1,600 offices across 47 states and accounting in $110 billion in annual sales. In 2018, Blefari led Berkshire Hathaway HomeServices’ global expansion to include leading brokerage companies based in Berlin, London and Milan. A passionate advocate of real estate coaching, Blefari has been recognized as a Mentor of the Year by Buffini & Company and Executive of the Year for Leadership & Contribution to the Real Estate Industry by the Tom Ferry organization. He has also been inducted into the Mike Ferry Organization Leadership Hall of Fame and ranked #14 on the 2019 Swanepoel Power 200 list. The real estate industry lost more than $56 million in 2017 due to internet crime, and those losses are likely to keep growing until the entire industry begins to take steps to prevent fraudsters from stealing funds intended for U.S. real estate transactions. In this seminar, three industry experts from Fidelity National Title Group and CATIC will discuss the ways fraudsters target real estate transactions and steal funds. The focus then turns ways agents and their business partners can reduce the risk of wire diversion and related email compromise. In conclusion, the presenters will summarize the actions recommended when a person becomes a victim of these criminals. How to Manage Your Team for Optimal Results. This will explore the topic of sales gone wrong and missed opportunities. Panelists at this session will discuss recent court decisions and enforcement actions involving settlement service providers and the potential impact of those decisions and actions on the industry. 12:00 a.m. - 1:15 p.m.
With a new Bureau Director in place, RESPRO26 is a great time to take the temperature of the Bureau's RESPA enforcement and interpretation in 2019. Meanwhile, at least 3 Circuit courts have raised questions regarding the Constitutionality of the Bureau's structure and this panel will provide an update on those challenges and possible impact to industry providers. Andrina Valdes, Executive Sales Leader & CMO-Mortgage Finance, Cornerstone Home Lending, Inc. Many contemporary compliance issues are the subject of articles, blog posts and sessions at RESPRO. Other compliance issues, however, are not garnering proper attention but are important to many settlement service providers and carry compliance obligations and risk. In this session, you will hear about developments concerning information included in credit reports and credit score models; novel FCRA claims and class actions; the latest changes in HMDA requirements; how best to use ESIGN and traps for the unwary; and data collection issues, including how black box underwriting is in some quarters raising ethical and/or potential fair housing issues. Don’t miss hearing about these issues and tomorrow’s potential headlines. Cryptocurrency and Blockchain. The Conversation We Should Be Having! We have all heard the buzzwords bitcoin, cryptocurrency, blockchain and the impending disruption of the Real Estate industry. Join this engaging panel to hear Ashley & James’ perspective on what they believe the conversation real estate professionals and industry partners should be having. This panel will tackle the hype and fallacies surrounding cryptocurrency as well as the importance of building an immediate strategy around the present day real estate landscape. They will also offer suggestions on key milestones to watch out for to ensure your company can take advantage of the next generation of how Real Estate will be transferred. Most Sessions dwell on legal and regulatory requirements. This Session will deal with practical issues, hurdles and concerns, that arise with strategic relationships, which must be properly addressed. Panelists will also explore opportunities for using these relationships as a catalyst for creating a more collaborative, efficient, effective and compliant process to differentiate settlement providers, decrease costs, drive more volume and increase margins. Something Old (MSA's), Something New (Lead Sharing/Internet Co-Marketing), Want to Generate More Business, Try RESPA 8(c)(2)! RESPA's Section 8(c)(2) harbor is safe. Learn how to navigate the waters to safely generate business using MSAs, working with lead generators, and engaging in co-marketing. The panelists will address RESPA, disclosure, licensing, UDAP and more. A look at lingering issues from TRID 2.0, what to expect and how to respond to the Bureau's 2.0 five-year look-back under Dodd-Frank, and issues that have been cited in regulatory examinations. This session offers an in-depth discussion of industry professionals discussing Remote Online Notarization (RON) transactions. Including the background of how RON came to the forefront of the industry, current regulatory landscape and practical implementation on what it means to you in the real estate industry. Panelists bring a breadth of knowledge from technical to legal to operational backgrounds and will bring viewpoints from their unique and varied experiences of RON. THE BOTS ARE COMING...but not to take our jobs...to help us elevate our customer care! Over 80% of people have used AI in some form in the last year and 50% of people interacted with AI in the last year WITHOUT EVEN REALIZING IT. Further, more than 6 out of 10 U.S. consumers say their preferred channel for simple inquiries is a digital self-service tool. It's time for Escrow/Title to start meeting our customers (real estate agents, lenders, and consumers) where they are at. After stating that "Amazon will fail," Jeff Bezos said, "If we start to focus on ourselves, instead of focusing on our customers, that will be the beginning of the end. We have to try and delay that day for as long as possible." In this fun and actionable talk, Paul Stine will discuss the current state of customer care and how we as title and escrow companies (yes, title and escrow companies) can start to build automation and AI into our customer care processes. He will also lay out what I like to call "The Baker Principle," which is the starting point for all companies looking to dip their toes into AI. Jay Varon and Jennifer Keas of Foley & Lardner LLP will report on their long-running RESPA class action challenge to a marketing agreement and how the defense team was able to obtain dismissal of the case on summary judgment. Hear about the operative theories, the history of the case, and how the defense team focused the depositions of the named plaintiffs on the developing procedural issues to convince the trial court to dismiss the case for lack of standing and untimeliness, without reaching the merits of plaintiffs’ RESPA claims. This session will also address broader class action and enforcement trends, and what you can do to minimize your risk and improve your position if you are faced with a challenge. This session will review the present and recent state activity and anticipated future actions. How the states are interpreting UDAAP. Private sector compliance expectations and class actions. Are You Really Different From The Competition? This session will discuss: (1) define the cost of engagement and activating the genius in the room; (2) using your current employees and agents to design the future; (3) stats on best in class companies that have captured the hearts of their employees; and (4) show simple action item list to energize your base. You will leave this session with actionable ways to enhance and invigorate your staff and agents. Retain, multiply and recruit with intention to continuously evolve in the changing world of customer service. Recent changes in regulatory supervision practices have once again made Joint Ventures an attractive idea to many companies. Learn about the rules of the road that still come into play with this model despite these recent positive changes. This session will address and identify various licensing hurdles associated with launching a Joint Venture in the mortgage field, and will provide strategies and practical licensing tips to not only trouble shoot gating issues, but also improve efficiency and approval times. With low inventory of homes and the high expectations of today's buyers, every client matters. And over two-thirds home buyers, especially those purchasing their first home, want the guidance and expertise of real estate and mortgage professionals throughout the process, they also want a process that's simple, tech-enabled, and aligned with how they manage the rest of their financial lives. Learn how technology is helping drive efficiency and fill gaps throughout the home purchase process. The speakers will also share tips on how realtors, mortgage loan officers, and borrowers can collaborate for a better experience across the board.